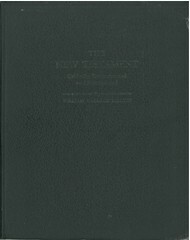 From the Preface: "In this volume entitled "The Law and the Covenant," I have gathered together the civil, ethical, and religious precepts of Exodus-Deuteronomy which remained after removing the two versions of the Tora of Moses." Title: The Law and Covenant. 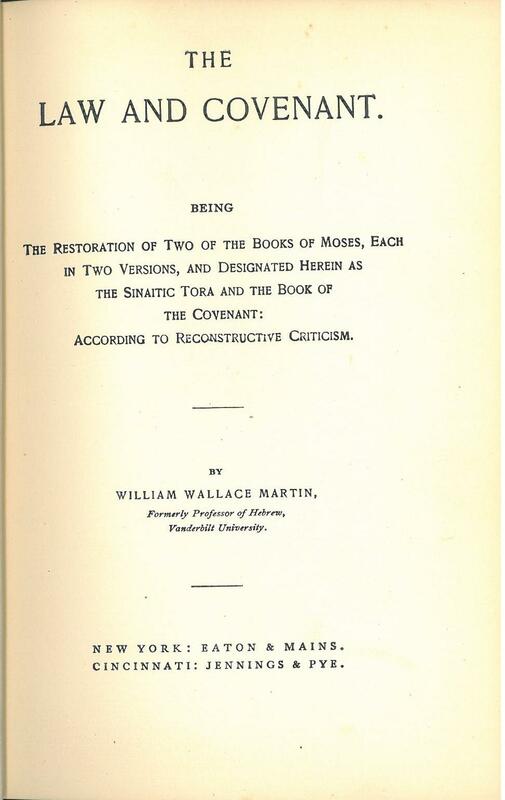 Being The Restoration of Two of the Books of Moses, Each in Two Versions, and Designated Herein as the Sinaitic Tora and the Book of the Covenant: According to Reconstructive Criticism. 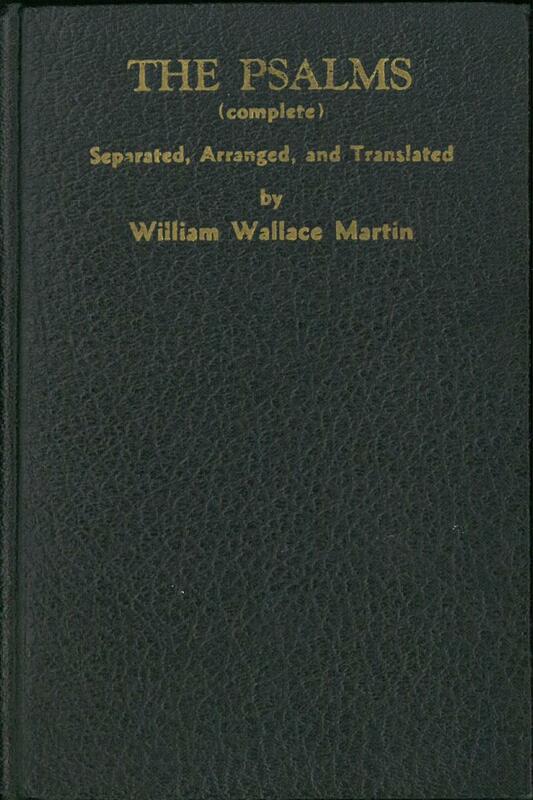 By William Wallace Martin, Formerly Professor of Hebrew, Vanderbilt University. Publisher: New York: Eaton & Mains, Cincinnati: Jennings & Pye. 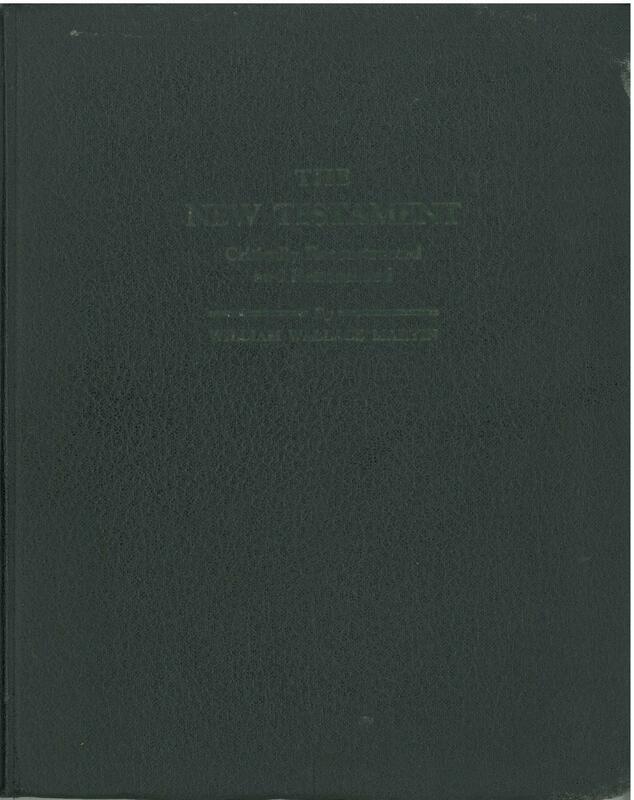 This translation of the New Testament is rather interesting. 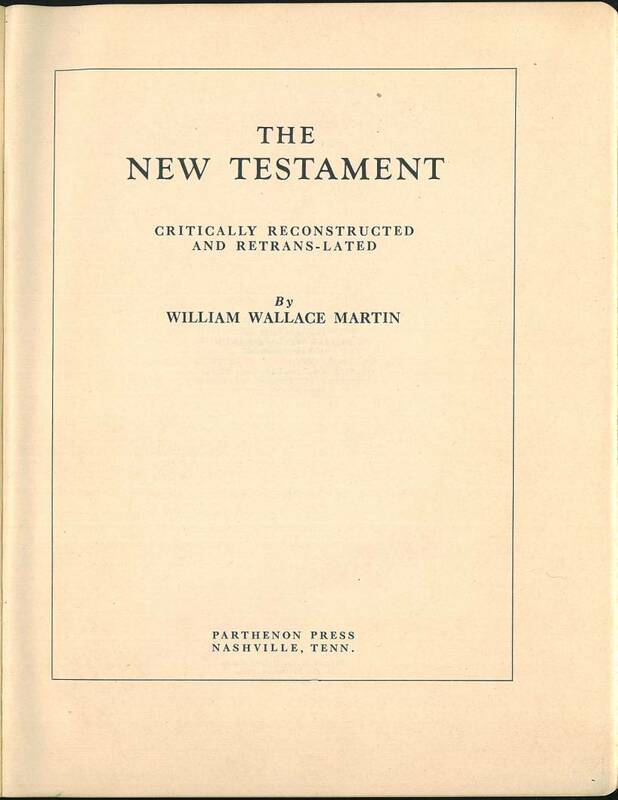 Instead of the regular 27 Books of the New Testament, Wallace identified 43 different works including letters by Apollos and Barnabas. Each gospel is divided into a number of sections which are selected from different chapters and then recombined and rearranged. For instance, a section from John's Gospel called "The Bread of Life" contains "parts of chapters vi, vii" and the "Cleansing of the Temple" from chapter 2 is placed after the Palm Sunday section which has parts of chapters 10 and 12. Overall, it is rather confusing and difficult to follow. 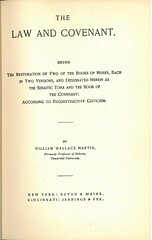 Wallace was a Methodist and member of the New York East Conference of the Methodist Episcopal Church. References: Chamberlin 573-5, Hills 2360, Herbert 2265, Taliaferro CN00298. 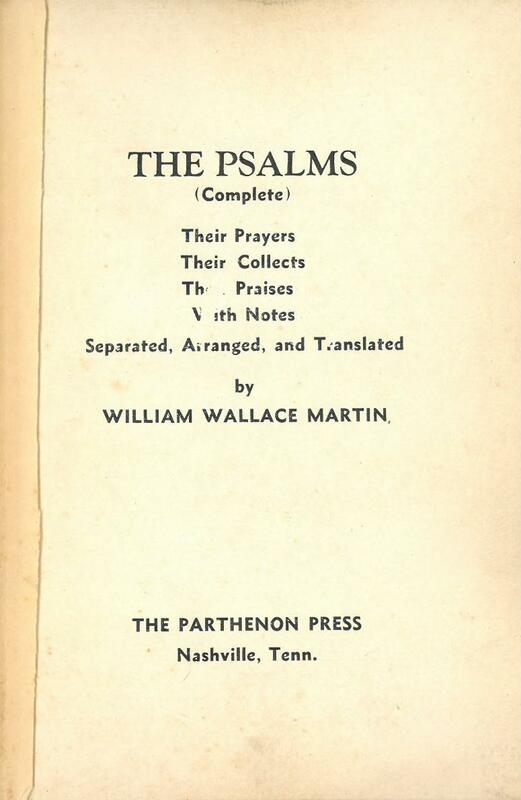 In this translation of the Psalms Wallace does not present them in canonical order; rather, he presents them as a series of prayers, collects, and praises. He further distinguishes between that those that use the tetragrammaton (which he translates as Jehovah) and those that use the name "El" for God. 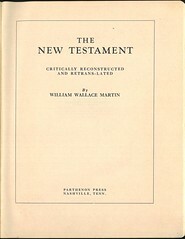 In his foreword he states< "Our present Hebrew text, because of malevolent purpose, has now all kinds of confusions. A cloven foot has left its tracks clearly along the road. My hope is that my work may be helpful to those who hold faith in God and love well-doing." 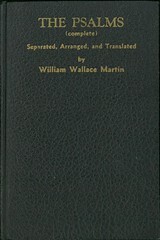 Contents: Title, Foreword (p. v-vi), Contents (p. vii-xiv), Psalms (p. 1-365). 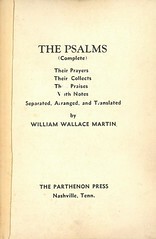 Verses are not indicated but each entry is followed by the Psalm number and a set of notes.